Flexibility, balance, whole-body strength, recovery, range of motion, focus--a regular yoga practice brings many benefits to people who lead active lives. For athletes in particular, the dynamic stretching of athlete-friendly yoga poses and properly designed yoga exercises can counteract the tightness and imbalances that come from daily workouts. 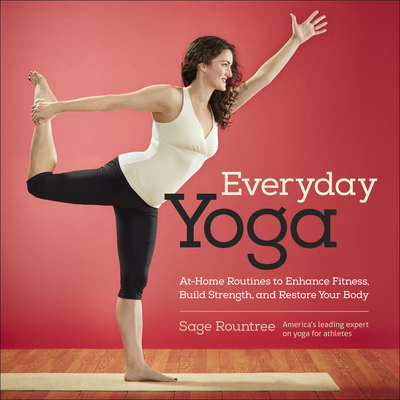 Sage Rountree is America's leading expert on yoga for athletes. She is a certified endurance sports coach as well as an Experienced Registered Yoga Teacher with the Yoga Alliance. She is a featured instructor at Kripalu and offers yoga workshops for athletes and coaches around the country as well as at Carolina Yoga Company, a yoga studio she co-owns. An accomplished competitor in running and triathlon, Sage has raced distances from sprint triathlon to Ironman (r), 400 meters to 40 miles, including the Boston Marathon and the 2008 Short-Course Age-Group World Championship in Vancouver, Canada, where she represented the U.S. as a member of Team USA. Sage is a frequent contributor to "Runner's World," "Triathlete," "Competitor," and "Yoga Journal" magazines and has contributed to "USA Triathlon Life," "VeloNews," "Running Times," "Inside Triathlon," and "Endurance" magazines. Sage is the author of "The Athlete's Guide to Yoga," "The Runner's Guide to Yoga," "The Athlete's Pocket Guide to Yoga," and "The Athlete's Guide to Recovery."